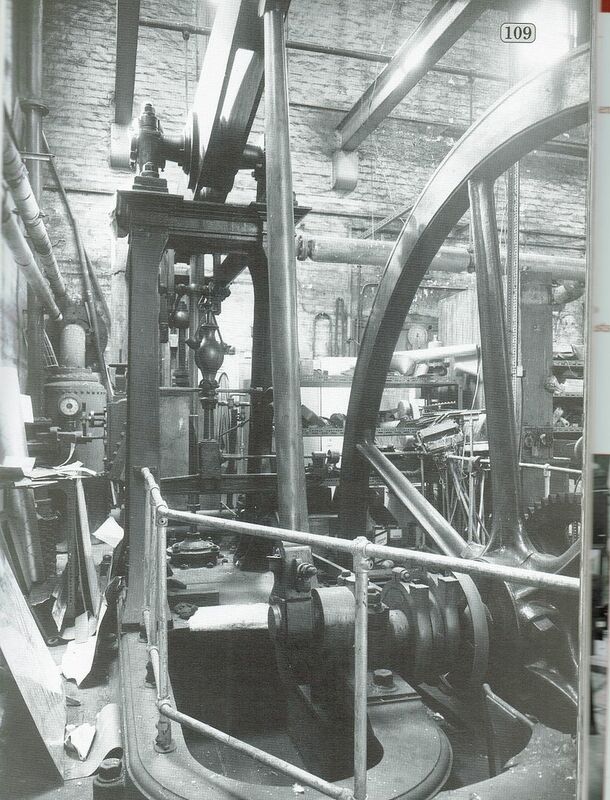 Easton and Andersom beam engine at Bressingham. Here is my new engine build , it is an Eastons and Anderson beam engine wit the meyer valve system. It is the engine based at Bressingham Steam engine museum near Diss Norfolk. The engine is different from mu previous beam engine builds and so has its own particular challenges a n idiosyncrasies . It has a particularly fine moulded entablature but with a very plane built up beam and simple con rod. There is also the meyer valve gear that will be models in full although it is hidden inside the steam chest. I have taken numerous photos of it and have started on the drawings, so here goes and i hope to finish it for next years Forncett museum event !! 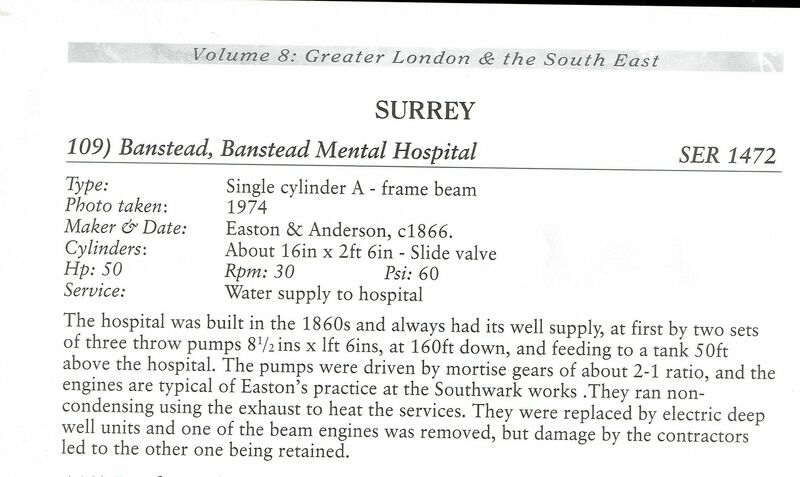 Re: Easton and Andersom beam engine at Bressingham. Excellent, another build from SGW to watch!! Do you have a diagram of what the Meyer valve gear is, don't know that one. That sure is a beautiful Crown on the original engine. I will be following your build. I always enjoy your projects, looking forward to this one too. Hi Jason, thanks so much for the photo it is good to see it i situ. is this one of George Watkins photos ? I do have some of his books. It still has the railings around it that i thought Bressingham had installed but apparently not ! You don't have the other engine perchance !! Yes it is in his London & South East volume. Just the one engine, maybe the other had already been removed by the time the photo was take. I hope you are not planning to include the Kee-Klamp handrail. Hi Jason, Yes the key clamps will disappear and i do exactly that with the measurements..I go first and take lots of photos from side front and above then i go back with my friend Clare and i read out the dimensions with the plan on a separate piece of paper and she fills them in ..However when i read out the dimensions from the rule, i am careful not to say 3 4 5 6.and 23 /64ths as that becomes a bit confusing for her !! Also ..when i did the same with the Bridewell engine some of the measurements seemed a bit odd? and then discovered the person was a bit dyslexic so 3 & 5/8ths got written down as 5 & 3/8ths !!! That drawing of the valve finally makes it clear, the others I found were confusing. I don't think you can lock that one, maybe get the holes in the base first then you can clamp through those down to the table with some suitable height packing to do all the straight cuts then undo the fixing to round the end. Even if it could be locked there would be a lot of leverage on the table that may see it creap and the overhanging end would be flapping about as well. What are you going to use for the base, a bit of 1/2" aluminium would be quite easy to cut. I set both the movable stops tight up to the fixed stop. Hi Chuckkey yes i have come to the same conclusion to that after sleeping on it Thanks and great minds think alike !! !